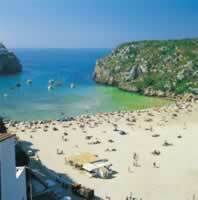 An interesting resort with a village atmosphere, Cala'n Porter stands on a hillside offering stunning views. 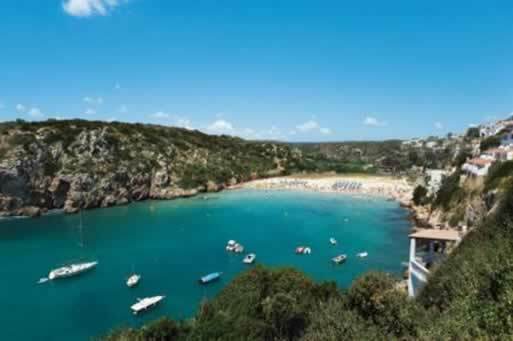 The beautiful little cove at Cala'n Porter can become crowded during July and August. 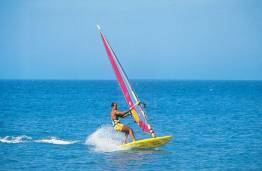 It's situated on the southern coast, between 16km and 12km west of Mahon. 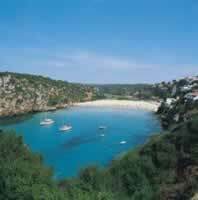 Take a relaxing boat trip - catch some sun, make new friends, and enjoy the wonderful vista of Minorca from the waves. Cala'n Porter has a cliff-sheltered cove with a sandy beach, accessible either by stairway, with a fair number of steps, or winding road. 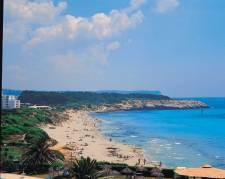 This is the busiest beach on the island Lots of bars and watersports. .
You can grab the essentials locally, although there is much more in nearby Mahon. There are plenty of bars to chose from, and if you feel like a later night, head to the famous disco in the Caves of Xuroy, the most spectacular nightclub on the island set in a series of natural caves with spectacular sea views. 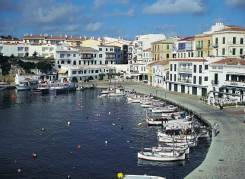 There is an adequate choice of Spanish restaurants and some fast food available.